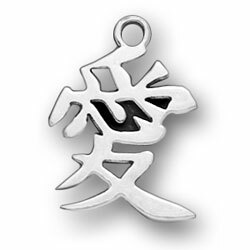 These are sterling silver charms and pendants with Chinese Symbols on them. Please check out the size of the Chinese Charms and Chinese Pendants because some of them are to big for a bracelet. The bigger ones would look good on a necklace or a flair on your cell phone. 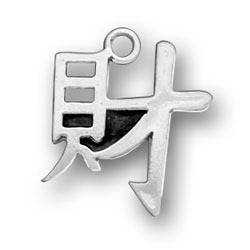 Each Chinese Symbol is shown with the corresponding English Word written very small on the back. 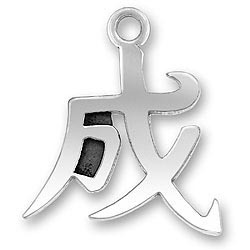 Chinese Symbol for Love, Chinese Symbol for Success, Chinese Symbol for Wealth. You can buy these pendants and add them to your exsiting jewelry create a necklace. 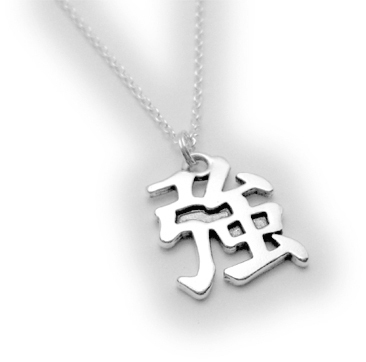 To create a sterling silver necklace with a Chinese Pendant... click here.